In most any resource industry, material handling is the make-or-break component of the operation. In the timber industry, the log yard is that flow-point. Providing a method and means to link sellers to buyers, and then control inventory flow; a log yard is critical to both sides of the timber industry. Since his high school days working in the woods, Shawn Teevin has been in and around log yards. Observing log yard operations from the operator’s point of view, Shawn learned what works and where improvements and investment should be made. He took those lessons and applied them to our current operations in Rainier, Oregon and Eugene, Oregon. From the seller’s view, they wish for a facility that can quickly unload their trucks, that has on-site scaling bureaus, weigh scales if required, adequate unloading and roll-out area, and room to ensure timber can be segregated by the sort. From the buyer’s view, they wish for a facility that allows the scalers to move quickly and safely, that does not choke under heavy inbound traffic, with adequate room to deck their purchased logs by sort, and finally a facility with the capacity to quickly and effortlessly out-load their timber to their company facility for export or milling. 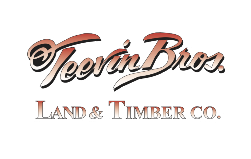 Teevin Bros. log yards meet these high standards and go a step further by being some of the most progressive facilities around. Melding intermodal transportation options, environmentally smart business practices, and exceptional customer service; we have become the facility of choice for timber buyers and sellers in southwest Washington and northwest Oregon.